When Iron Lore studios closed its doors back in 2008, we were sad to hear the news. After all, Titan Quest, their action/RPG title fashioned in the same vein as Diablo, was a great co-op game and nicely filled that action/RPG void that Diablo II had left in our hearts since the late '90s. So when Crate Entertainment was formed earlier last year, we couldn't wait to see what that group would crank out. 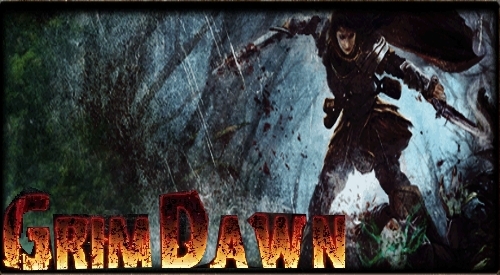 We had to wait another year, but Crate Entertainment has now announced their new action/RPG title: Grim Dawn. ... an action role-playing game intended for digital distribution on the PC... It is being built with Crate's own improved version of the Iron Lore engine and toolset; the same technology used to create Titan Quest. As a spiritual successor, Grim Dawn will attempt to better perfect the magical formula of exploration, character advancement, and loot collection pioneered by Diablo. Among the many features provided about the game, one in particular caught our eye. In addition to the usual co-op loot and grind mechanics that we see with many other post-Diablo games today, it sounds like Crate is working to implement some special co-op features of their own. What kind of feature this will be hasn't been detailed yet, but it's certainly promising that they're already placing co-op in the front of their minds as a key element of this particular game type. Finally, Grim Dawn presents a rather unique opportunity for all of you co-op gamers out there to not only show your preference for co-op gaming, but to be a part of the game's development as well. By pre-ordering the title directly from the game's website, players help cover the game's production costs and keep the game independently developed and produced. What's more, anyone who goes a little above and beyond the standard $20 cost of the game will get access to early builds of the game and a special mention in the game's credits. As a site that encourages the co-op community to be vocal about what they want to see, this is an excellent opportunity for some great interaction between developers and players, and a real chance for your voice to be heard.